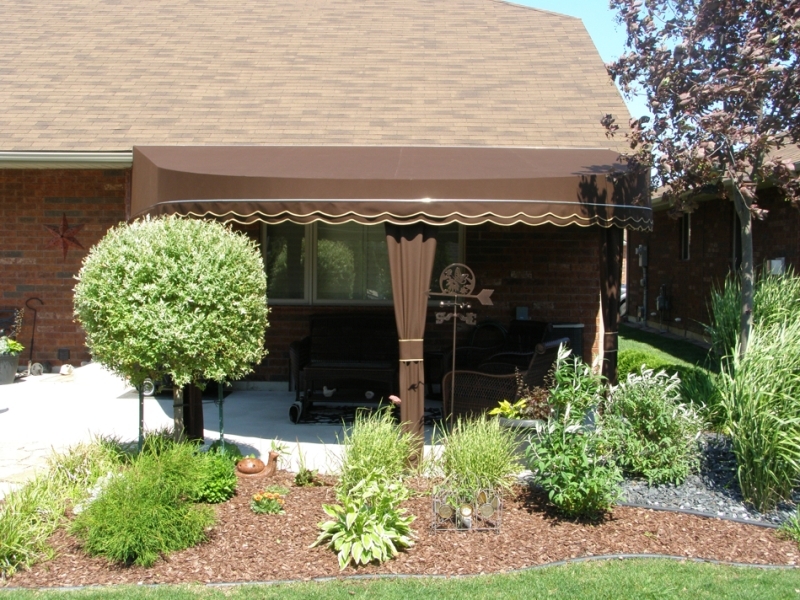 A patio awning or deck canopy can turn your home into your personal get-away retreat. Why go on vacation when you can bring the vacation to you? 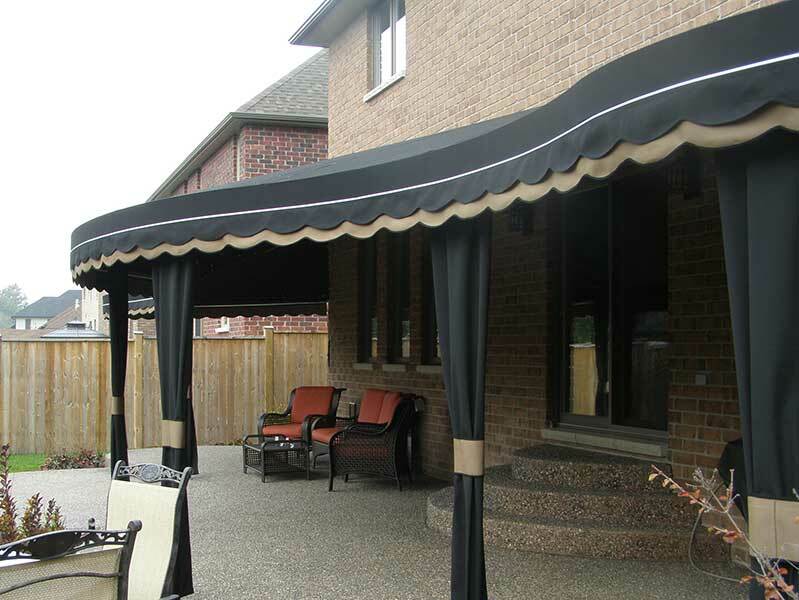 Awning Concepts & Design of Windsor can help you create the ultimate resort experience in your own backyard. 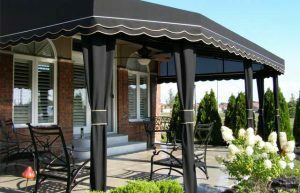 We specialize in patio awnings, gazebos, and pergolas for homes and businesses in the Windsor, Chatham, Leamington area. 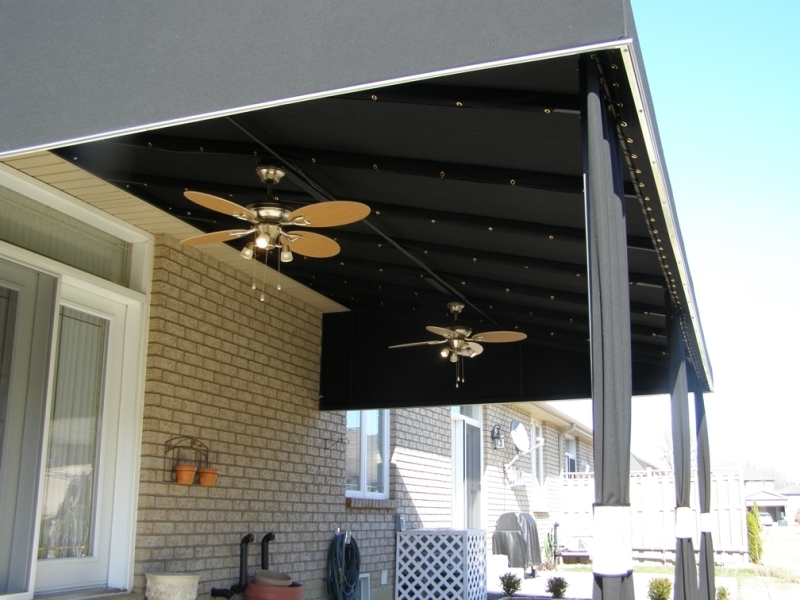 With more than 30 years experience, Awning Concepts & Design will guide you through a range of colors and styles to suit your needs and decor. 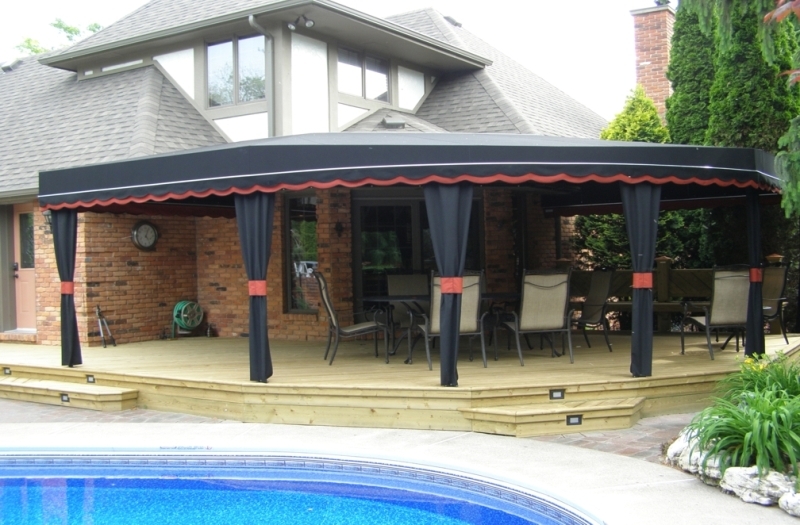 We design, manufacture and install a durable permanent structure you can depend on and enjoy for years to come. Shade, shade and MORE shade. Up to 25% cooler than in the sun. 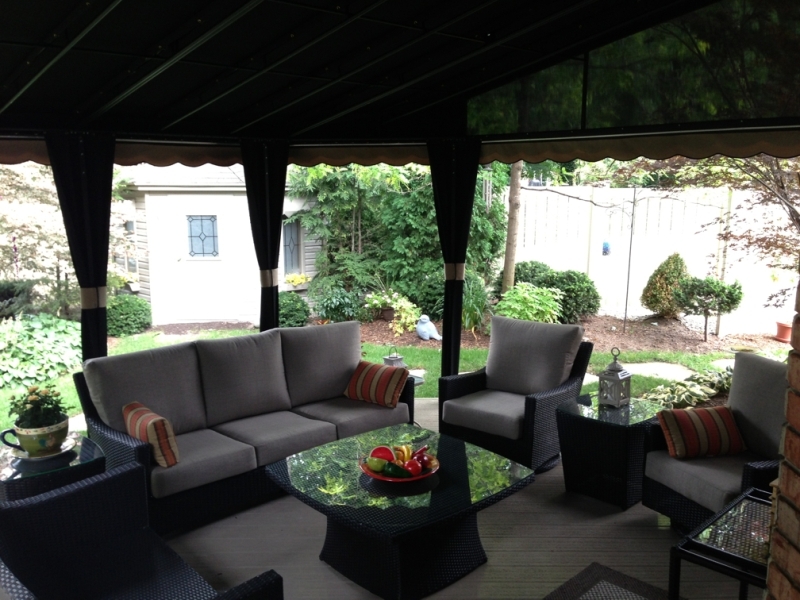 It’s an outdoor room for you to Enjoy! 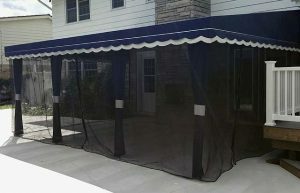 Custom awnings for your outdoor living space. 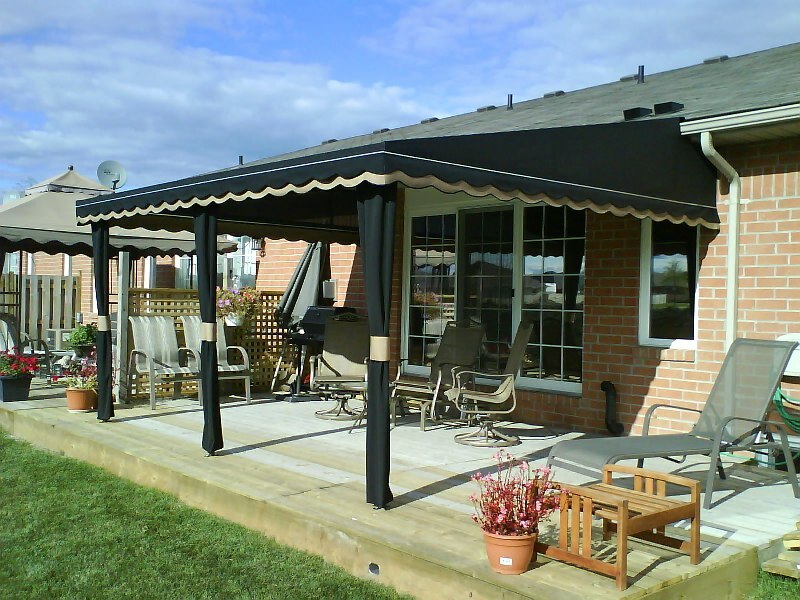 We design and manufacture awnings for your deck or patio. 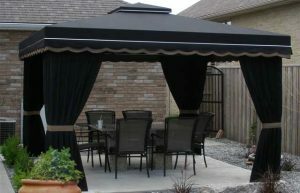 We also create free-standing gazebos. Serving LaSalle, Windsor, Ontario, Essex County and Chatham-Kent.